Brendon started racing with Conference League Oxford in 2007, In 2008 he joined Weymouth, in 2009 he joined Isle of Wight in the National League and stayed with the Islanders for 2010 and 2011 doubling up with Somerset in the Premier League. While he was at Isle of Wight in 2009 Brendon crashed against Mildenhall and duiring the night had to be airlifted to Southampton General Hospital he was in intensive care in a coma. His parents believed that he may never walk or talk again. When he came out of the coma the doctors said it would be at least two years before he could ride again. He was back racing for Coventry at the beginning of the next season. It was also in 2011 that he was given a chance with Dudley which was to last just two matches. In his first match on 12th July 2011 he scored 9 + 2 bonus from 5 rides at reserve. 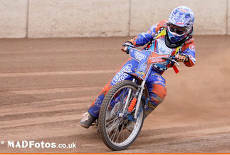 His second match was at Belle Vue on 13th July 2011 when the track was awful and some of the Heathens riders walked out. He moved on to Newport. 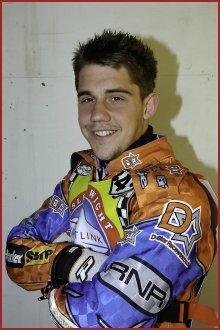 Brendon did have one more match for Cradley when the Heathens fans took him to their hearts at Newport when he headed the scorechart with 7 points in a four man team against the Mavericks in 2009. Brendon moved around quite a lot after this joining Kings Lynn Young Stars in 2012, Coventry Storm in 2013 and Isle of Wight, joining Mildenhall in 2014 then came his dream job to ride for his local club Poole as one of the fast track draft scheme. In 2015 Brendon was signed by Eastbourne for their excursion into the National League but was sensationally dropped before the season started.